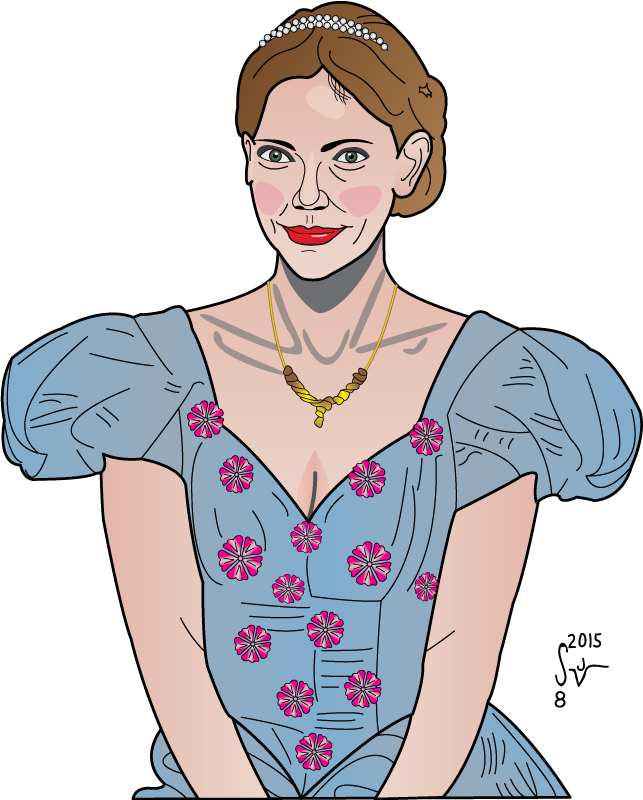 A couple of days after drawing Riki Lindhome, from a promotional photograph from Another Period on Comedy Central, I decided I really should draw the other lovely lady in that same picture. 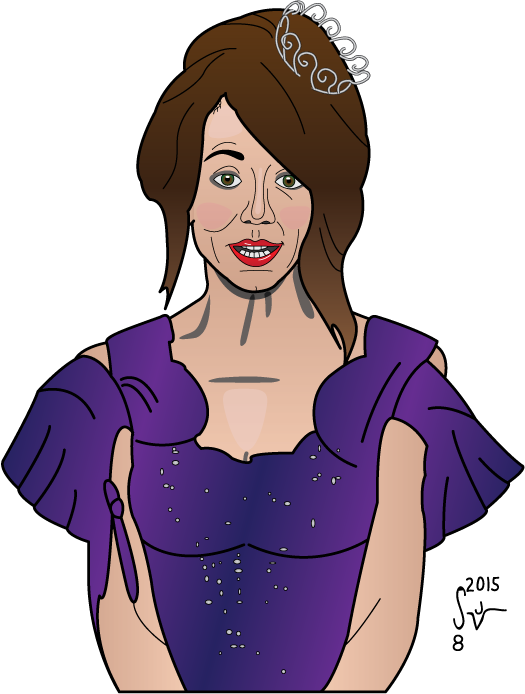 Natasha Leggero is the other half of the duo behind the television show. I am admittedly less familiar overall with her work, but she routinely kills it in the Comedy Central Roasts, so I have been following her career more of late. As I said in my earlier blog post, I encourage everyone to check out these ladies’ show. In the original photograph, the two ladies are sitting side-by-side on a couch. I honestly had very little interest in drawing the couch… which is why I ended up drawing each lady individually. I suppose I could at some point work them back into a single drawing but I needed more practice with drawing people than I did drawing stuff, so the women were of far more interest to me than anything else in the photograph. As I was working on this one, I realized that I had learned a bit just from having done the drawing of Riki a couple of days earlier. I think I got the skin tone even better for Natasha than I did for Riki, but think I still need to work on hair and clothing a bit more. The period costumes both ladies were wearing actually had lots of nice folds and wrinkles and curves which definitely made for good practice. I’m most pleased that though these do not look like photo-realistic drawings of women, you can easily identify who the subjects are. So, I learned quite a bit when I did my Ryan Reynolds drawing earlier this year. I thought it was about time to put some of that into practice again, and see if I can continue to improve skills in drawing real people. It’s always a bit of an internal struggle to decide what, or in this case who, to draw at any given moment. I draw inspiration from television, the Internet, dreams, or whatever happens to pop into my head. If you are a longtime follower of my blog, the choice to draw Riki Lindhome should come as no huge surprise to anyone. I’ve worked her name into quite a few comic strips over the past year. She’s pretty, and funny, hey that’s pretty funny right there! 🙂 She has a new show right now on Comedy Central, called Another Period. I encourage everyone to check it out. This illustration of her comes straight from a promotional photograph for the show. I think I’ve improved quite a bit in skin tone and general shading. I could stand some improvement on clothing folds and wrinkles… and I would like to be able to do a little better with hair. Overall I am quite happy with this one, and feel like it does show definite improvement in my work. I realized after the fact that the way I drew her here, Riki Lindhome looks a bit like Snow White. I think it’s the color choices I made that unintentionally led to the resemblance.